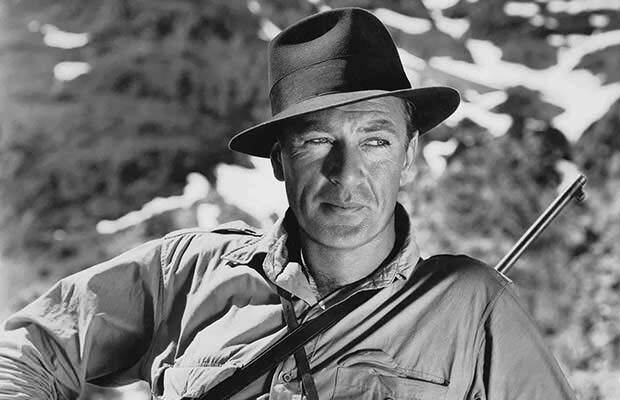 No matter how old (or young) you are, you must have, at least once, heard the name Gary Cooper when the subject matter is olden Hollywood years. Born Frank James Cooper, this dude was one of the greatest actors who ever walked the face of Earth. Cooper was known for his outstanding talent, and his acting style is still referred to as one of the most natural, most authentic, and most underrated at the time. His amazing career lasted for thirty-five years (1925 to 1960), during which he starred in 84 feature movies. What made him a major movie back in the day was his huge on-screen persona. He knew how to nail roles in almost any major movie genre, while his unique ability to insert his own signature personality into all the characters he played didn’t go unnoticed. All his roles had that familiar, natural and authentic feel, adding to his recognizable screen persona that appealed to both men and women. He was also praised for his ability to deliver restrained performances calibrated for the camera and the screen. Cooper just knew what directors wanted to record and what audiences wanted to see on the big screen. He began his career as a film extra and stunt rider, but his enormous screen presence soon launched him into the big leagues. He was soon recognized as a new type of American hero: “a champion of the common man”, and this image was truly formed after movies such as Mr. Deeds Goes to Town (1936), Meet John Doe (1941), Sergeant York (1941), The Pride of the Yankees (1942), and For Whom the Bell Tolls (1943). Later, in the post-war period, Cooper got into portraying more mature characters in titles like The Fountainhead (1949), High Noon (1952), Friendly Persuasion (1956) and Man of the West (1958).